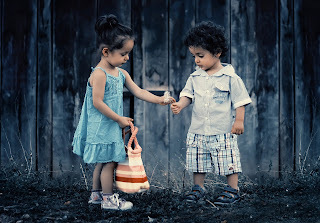 We do not come into the world with a set of values, we learn them in childhood from those around us. These values are handed down from generation to generation, guiding their development along the journey into adulthood. I wasn’t fortunate enough to meet either of my grandfathers, but their memories were kept alive with the many stories Mum and Dad shared with us, throughout our lives. One of my favourite stories of Mum’s father, Grandpa Edward, lodges in my memory, as a perfect example of love in action. One very cold Irish morning, Grandpa cleaned and polished 8 pairs of shoes (yes, that’s right cleaned and polished EIGHT pairs of shoes – his, and those of his 7 children), then set off for work, resplendent in the new jacket my grandmother, Elizabeth, had recently bought for him. He bravely returned home that evening - minus the new jacket! It warms my heart to be a granddaughter of this man who was able to see beyond himself, to empathise with a fellow human being, in such a respectful and loving way. Edward met a fellow traveller on the road, cold, and down on his luck, and was able to do something about it, so he did – simple as that. The values by which Edward lived his life certainly contributed to influencing the values and behaviour of his seven children. My mum and her six brothers were kindness itself, as they lived their lives, serving the needs of their families and those around them. Their legacy continues, as I witness those same values in my own siblings, our children, and their cousins. Albert Schweitzer was correct in saying, ‘Leading by example is not the main thing in influencing others, it is the only thing’, and we cannot ever afford to underestimate the influence we have on the young people around us. 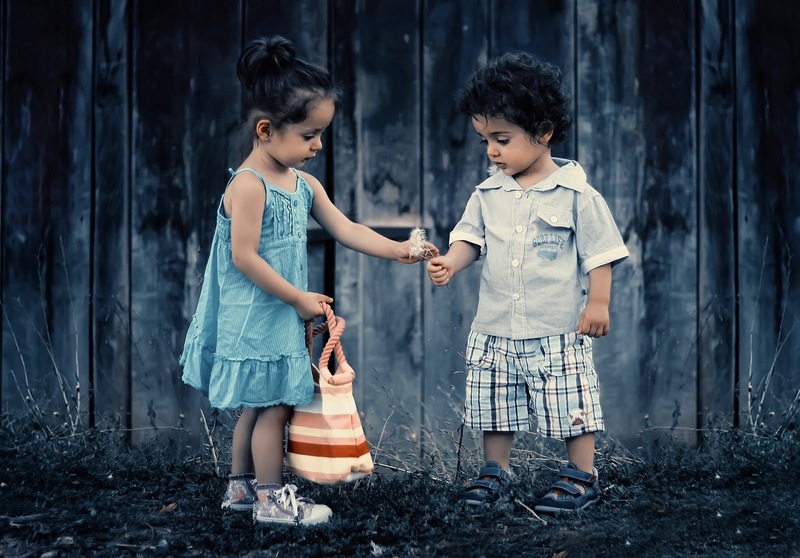 Our guidance and support are paramount in helping them to develop strong moral compasses and firm foundations, for becoming strong global citizens of the future. 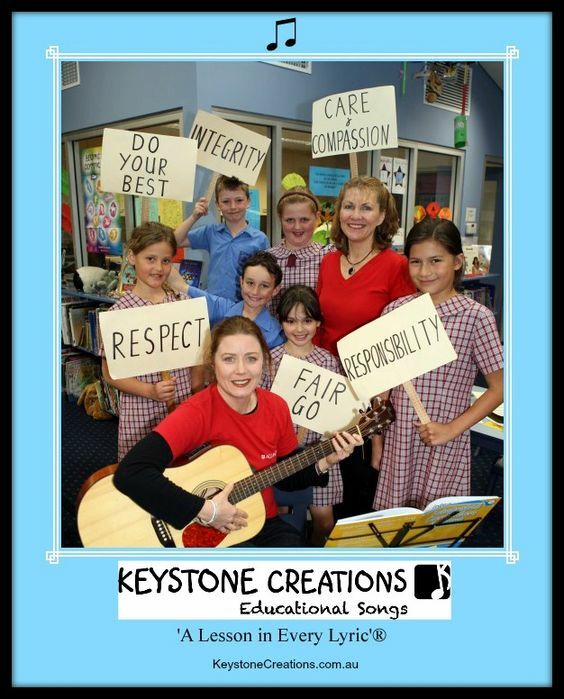 Schools often treat values as a separate, add-on subject, but, as Jean Paul Satre once stated, ‘Childhood decides’, so it is imperative for positive values to be not only modelled and affirmed in schools, but to be also integrated into daily classroom practice and timetables. 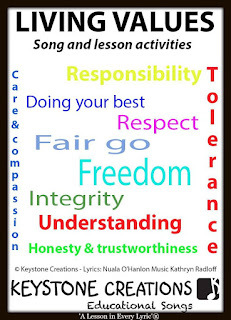 When it comes to specific lessons on values, song can be a very practical, non-threatening resource for kickstarting discussion, and a most invaluable tool for integrating learning across other subject areas. We have a whole school, anthem-style song that does just that. 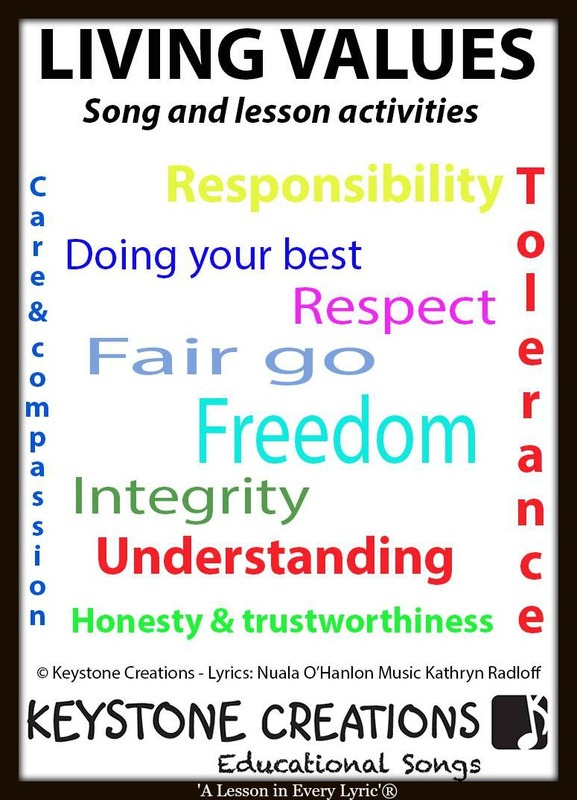 Below, you’ll find a sample of our song lyrics, the values targeted, and some simple suggestions for integrating this, or any values song you may have at your disposal. Before playing or singing song, unpack/discuss lyrics, line by line, e.g. Line 1, Verse 1: How do we demonstrate care for ourselves and others – at school/home/on the sports field/socially, etc?. Line 5, Verse 1: What does it mean ‘building character is our destiny’? Line 3, Verse 4: In what context is ‘sister’ brother’ used? Line 8, Verse 3: What are some of the qualities/values demonstrated by a team? Q: How can we work together as a class team? Q: How can we demonstrate these and other positive values in our dealings with classmates, teachers, parents, siblings, social groups, etc. Study the lives of inspirational people such as Mother Teresa and martin Luther King, Jr,.. and discuss/ write about…values they demonstrated in their lives. Students paint each value word from the song and attach to a ruler to form a placard (to be used in a simple, assembly performance piece). At school assembly, students file onto stage, hold up placard, state value and definition, the form a circle and move in circle singing song. In this great land that we share.